A promising Morecambe boxer has won another major title. National Schoolboy Champion Nelson Birchall won gold for England in the 38.5kg category as they got the better of Wales and Scotland in the GB Schools Three Nations in Cardiff at the weekend. First the 13-year-old, attached to Sharpstyle Boxing Club in Blackpool, got the better of Wales’ Harvey Williams in the last four on Friday. The two southpaws struggled with their range to start with but by the second round, it was the English Champion who started pulling away. Birchall used his boxing skills to good effect, rolling under the jab of the Welsh boxer and countering well to take the spoils by a split decision, 4-1. The Morecambe prospect then won Saturday’s final against Scotland’s Patrick Paton via unanimous decision, 5-0. Birchall won the all-action affair convincingly thanks to three rounds of powerful combinations, his game Scottish opponent taking a count in the second round. “He trains every day and misses a lot of things as he puts his boxing first,” said proud mum Kelly. “It’s really remarkable for someone so young. 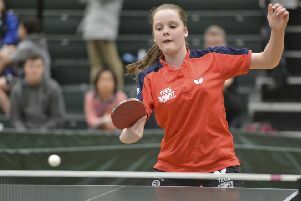 England finished top of the medal table with 10 golds, two silvers and two bronzes as the English Schools champions took on the best from Wales and Scotland. Scotland won six golds, six silver medals and four bronze medals. Wales won two gold medals, 10 silvers and 11 bronzes. Teenager Nelson is from a talented family, his younger brother Leighton also having won a national title this year while older sibling William won the same competition in 2015 before also representing his country. They are all cousins of Morecambe’s former English and Commonwealth featherweight champion Isaac Lowe.